In my last post I said how I was distracted from my granny square blanket. This little baby is one of the reasons. Lucy is modeling it for me. I'll introduce you to my dress form Lucy later on. I call it The Parisian Skirt. Why? I have no idea but somehow it reminds me of France. Perhaps it's the colors or the print. It looks rich and fancy to me....No matter. I'm in love with it. 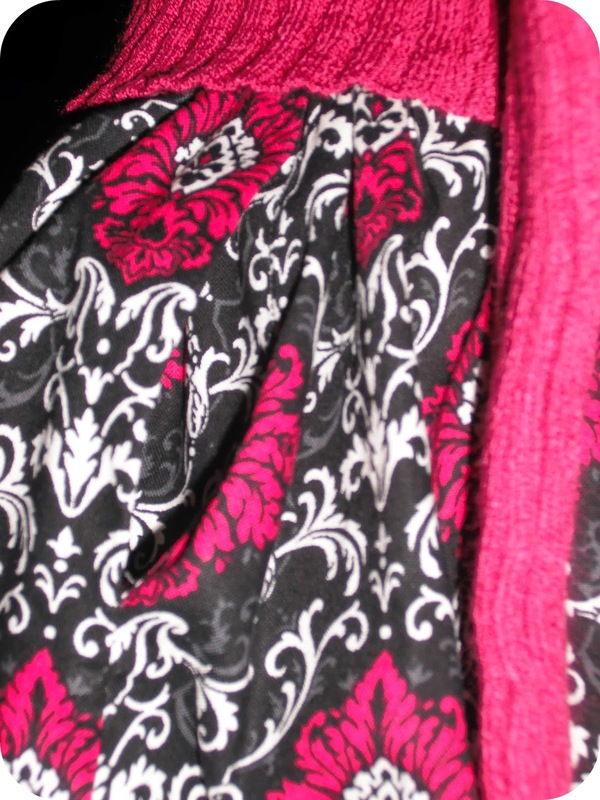 Love that magenta in the print!! I am so proud, too. 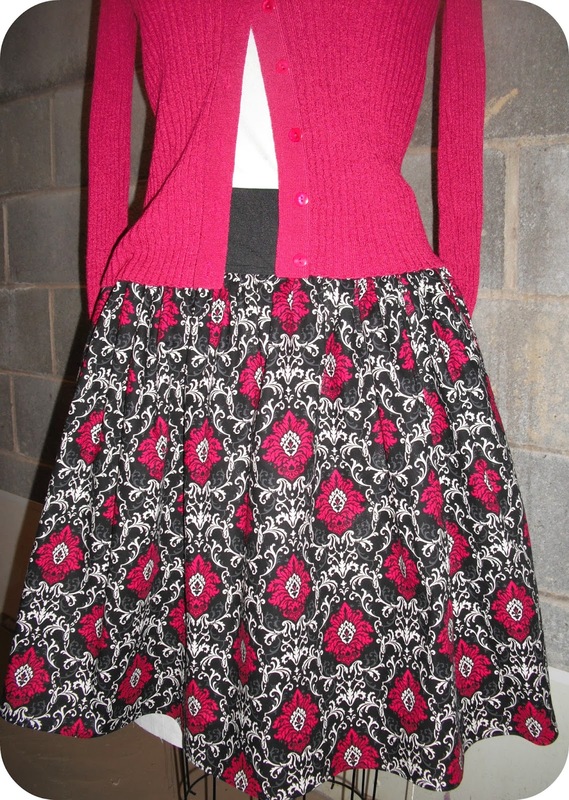 The Parisian Skirt is a dirdl skirt with a wide elastic waist and side seam pockets. But just look at that fabric. It's AMAZING. First I cut two pieces of cloth the length I wanted plus about an inch. 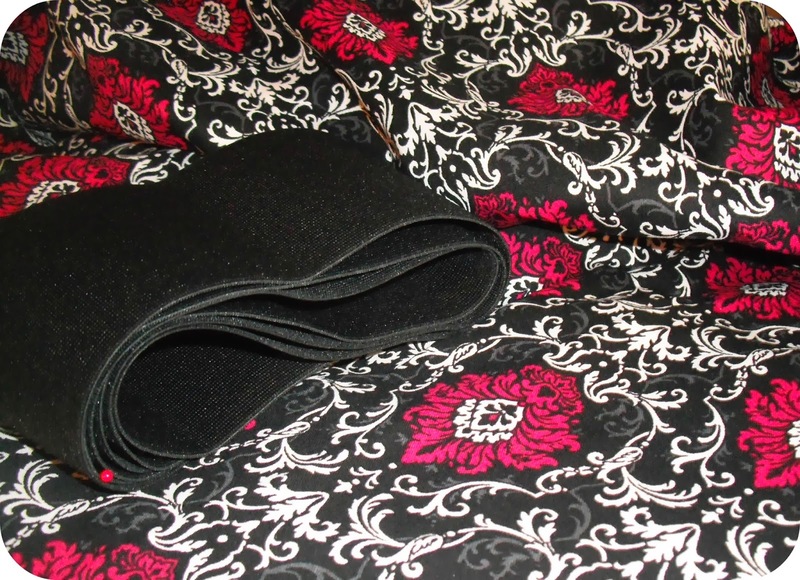 I used the full width of the fabric so each panel was roughly 20 x 45 inches wide. I serged the top and bottom edges to stop fraying while I was working (I didn't know how long this would sit half-done to be honest). I also cut a piece of 3 inch elastic the length of my waist minus about 2 inches. Next I drafted and cut out my pockets. Four pieces, two for each side. I LOVE skirts with pockets. Even wee baby ones like this since I apparently forgot to add seam allowance. Oops!! At least my change will never fall out. And I will never be a victim of pickpockets. 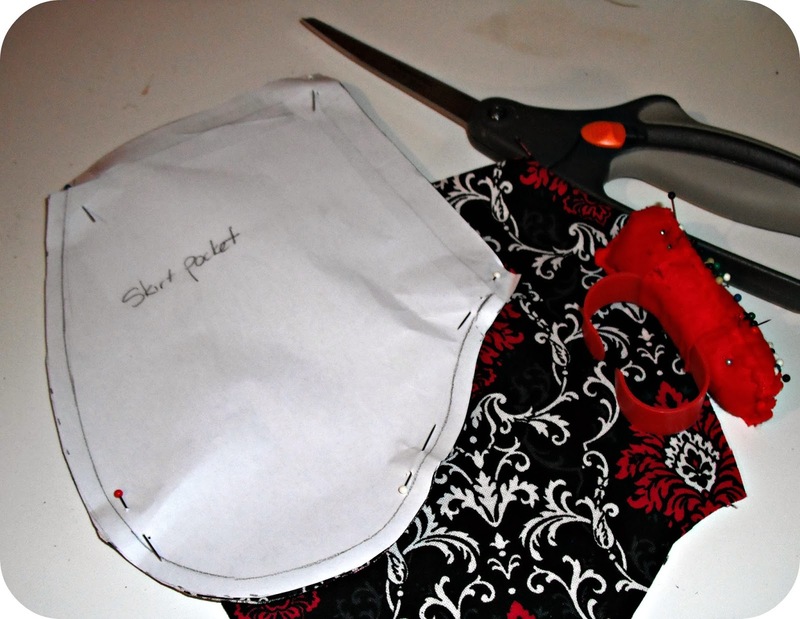 I pinned the pockets right sides together on each side seam of the skirt and stitched down to attach them. Then pressed the seam allowance towards the pocket and stitched around the pocket and down the side seams. For extra "fancy" I edge stitched the pockets to make them darn near invisible. Would you look at that? Blink and you miss them. I joined the elastic by overlapping and using a stretch stitch on my sewing machine. Then I trimmed it down really close and used a fray stop to prevent unraveling. The final steps were gathering the waist and basting it to the elastic. I used contrasting thread so I wouldn't go completely mad. 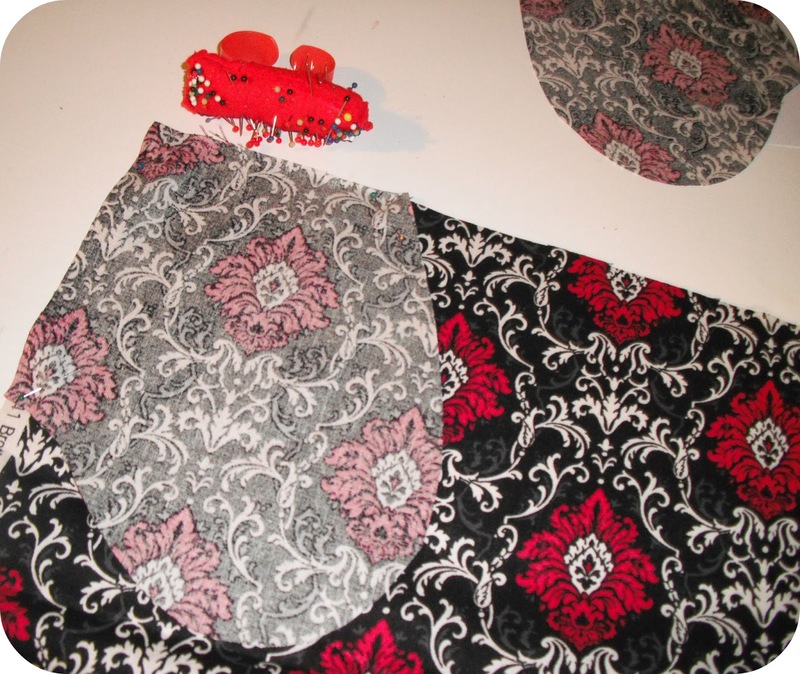 Then using two rows of stitching I attached the skirt and then removed the basting stitches. I hemmed it with a double rolled 1/4. Doesn't Lucy look great? And she just happened to have a magenta sweater to wear with it. Wait a minute, how dare she raid my closet without asking. That tart!! 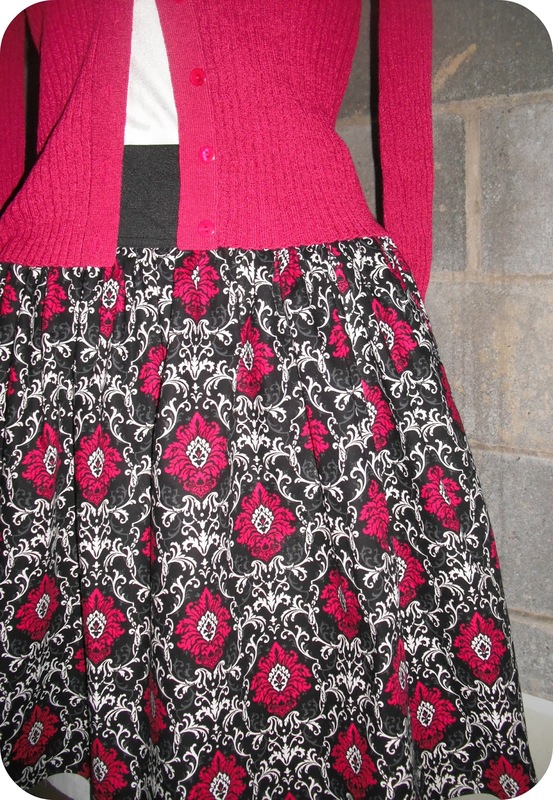 A beautiful skirt and gorgeous fabric!!! Featured today, Eska. Our weather would be perfect for your skirt now, as Summer is over, but it's still warm. Make your own scrappy notebooks for FREE! Spring Cleaning Time in the Studio! !